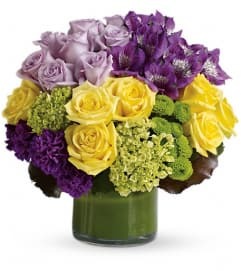 If fairy tales were made of flowers, undoubtedly this is what they'd look like. 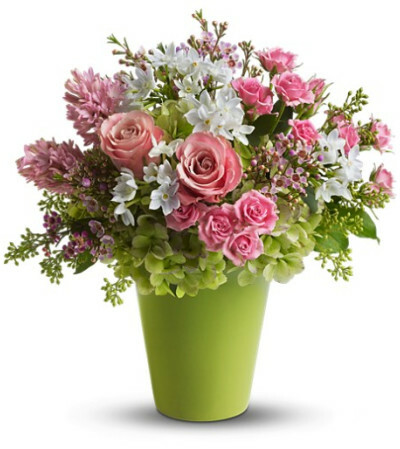 Charming, fresh and fabulous, these enchanted blooms are sure to cast a magical spell. 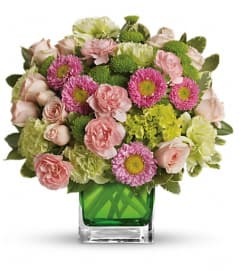 Dazzling green hydrangea, pink roses, spray roses, hyacinth and waxflower, white narcissus and spring greens are delivered in a bright green cylinder container.